Analog Records was formed in 1992 by Freddy Fresh to release experimental electronic music with a focus on analog synthesizers and Modular synthesizers. Analog had a UK division which had 3 vinyl releases while the USA division has released more than 45 vinyl productions up until the year 2001. 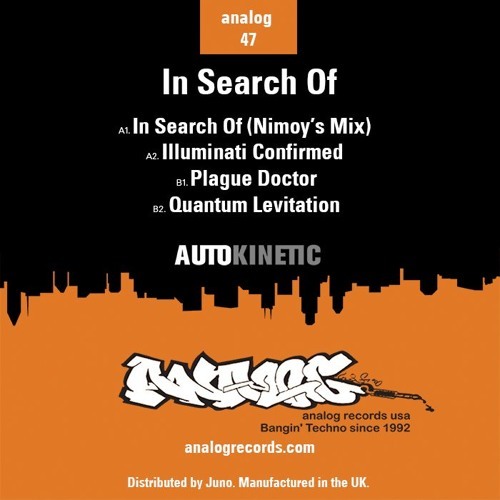 Analog has featured Techno producers such as Lenny Dee, Damon Wild, Alec Empire, Cari Lekebusch, Thomas P. Heckmann, Brixton, Dr Walker, InterrFerence, DJ Slip, Mark Verbos, Prototype 909, Adam X, Biochip C.. amongst others. Analog Records relaunched in 2016 with the 12" single "Breather" by The Modulator aka Freddy Fresh and plans to stay active with upcoming wax releases from the many active and talented techno producers. Analog's partner label, Electric Music Foundation focuses mainly on Electro and experimental Electronica. EMF was formed in 1994 by Freddy Fresh and Auto Kinetic and has released more than 30 vinyl productions. EMF relaunched in early 2000 and remains active with upcoming vinyl releases as well.